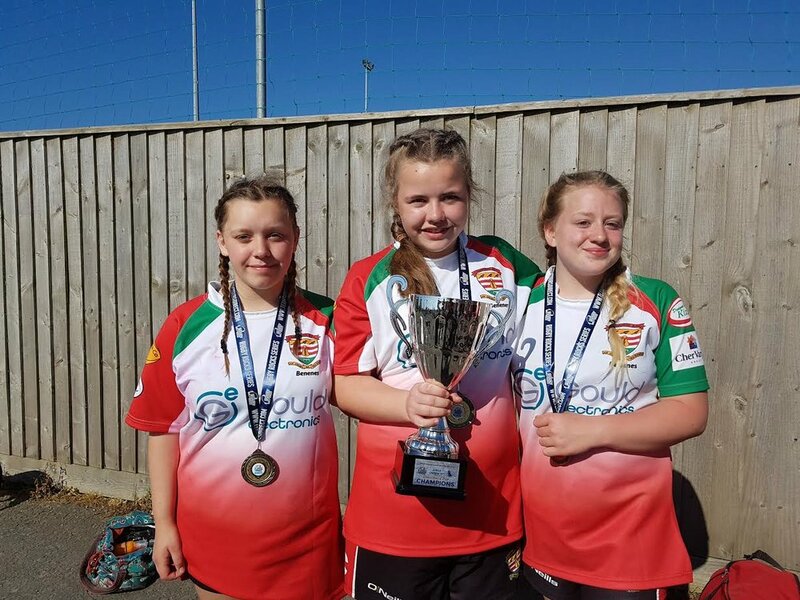 Three rugby players from Pool Academy brought home a trophy after winning an Under 15s Tournament with their team. The Year 9 girls took part in the Rugby Rocks tour/ tournament over the bank holiday weekend in Barnstable. Lucie Mills, Grace Pellow-Firth, Daisy Taylor and 14 other members of their rugby club took part in the 10 aside games against five teams over two days. They reached the finals only to discover they had to play against a team which had beaten them the day before. This time the girls and their team beat them and won the Under 15s tournament by 25 to 10. Grace Pellow Firth said: “The weekend was a great experience and it helped us become more of a team. We found we were more in sync. “It was a really hot weekend. It was 21 degrees by 10.30am. It was harder playing in the heat and we had a lot of water breaks. Between games we had some water fights too. Lucie said: “In one of the matches we played four of our team players were injured. Grace added: “It is our first trophy win. It was really worth going to Barnstable. Claire Meakin, Pool Academy Principal, said: “We love to hear about students' activities beyond school and I'm really grateful for Lucie's mum letting us know how they did! Well done girls - as always, you did us proud!"